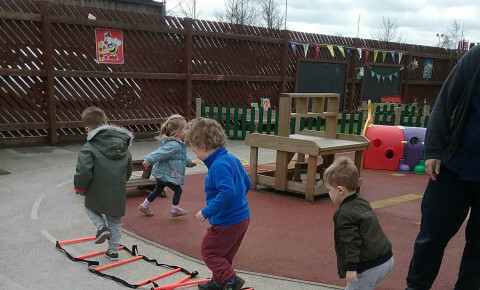 Today in nursery to help raise money for the very special cause 'Sport's Relief', the children came dressed in their sports wear or wore one of the sports relief t-shirts. 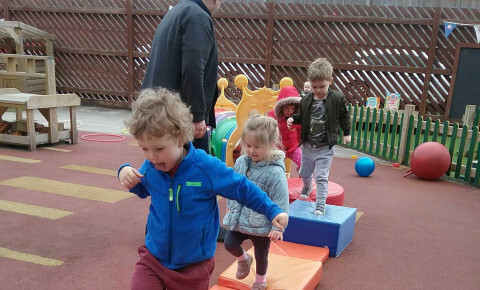 The Pre-School children took part in an obstacle course of various physical activities. This involved jumping through hoops; hopping through ladders and balancing on the soft play and equipment. Today we also spoke about healthy eating and the importance of physical activities everyday. We also looked at the human body and learnt about all the parts of our body that we can't see. At Busy Bees we ensure that our menus are carefully planned and freshly prepared from fresh on our site by our nursery chef and chef assistant. 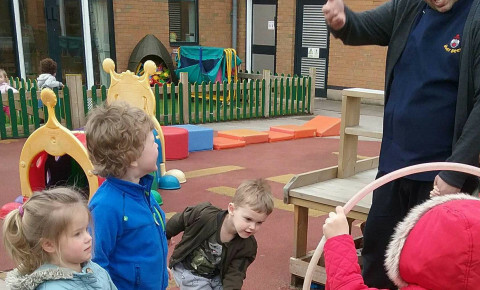 Why not book a visit online and come and join in with our activities that we get up to?